This article provides information and sample code to help you get started using the Custom Vision SDK with Python to build an image classification model. 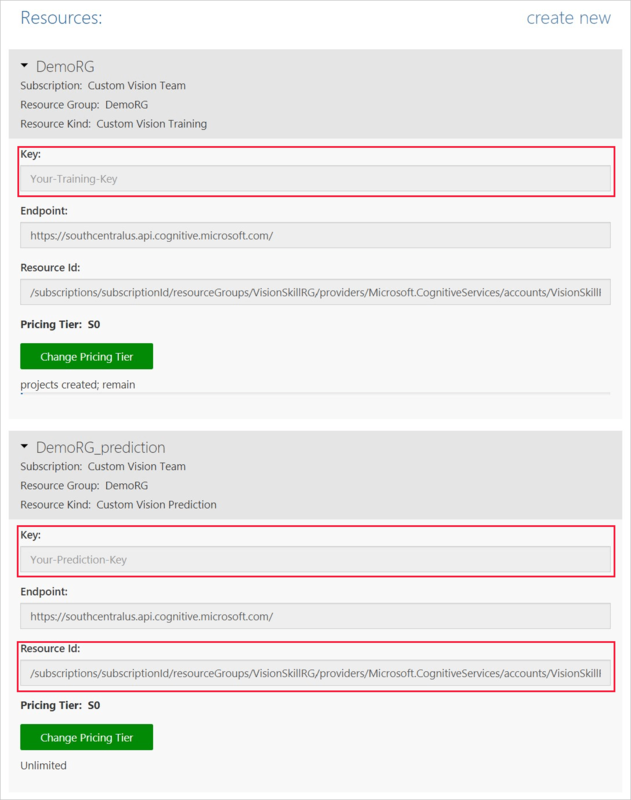 After it's created, you can add tags, upload images, train the project, obtain the project's published prediction endpoint URL, and use the endpoint to programmatically test an image. Use this example as a template for building your own Python application. If you wish to go through the process of building and using a classification model without code, see the browser-based guidance instead. Add the following code to your script to create a new Custom Vision service project. Insert your subscription keys in the appropriate definitions. To add the sample images to the project, insert the following code after the tag creation. This code uploads each image with its corresponding tag. You will need to enter the base image URL path, based on where you downloaded the Cognitive Services Python SDK Samples project. You'll need to change the path to the images based on where you downloaded the Cognitive Services Python SDK Samples project earlier. base_image_url = "<path to project>"
You can then verify that the test image (found in <base_image_url>/Images/Test/) is tagged appropriately. You can also go back to the Custom Vision website and see the current state of your newly created project. If you wish to implement your own image classification project (or try an object detection project instead), you may want to delete the tree identification project from this example. 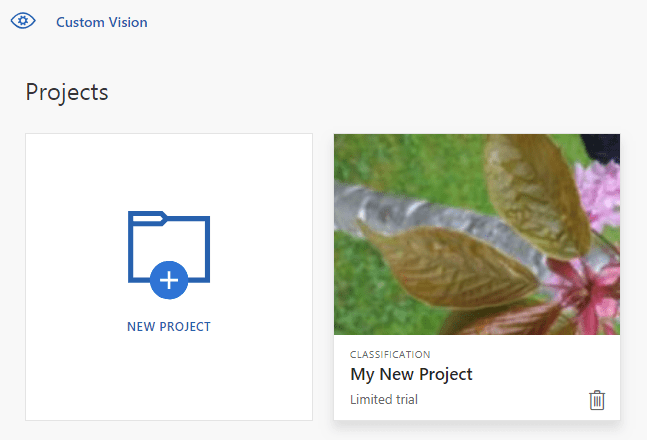 A free trial allows for two Custom Vision projects. Now you have seen how every step of the image classification process can be done in code. This sample executes a single training iteration, but often you will need to train and test your model multiple times in order to make it more accurate.